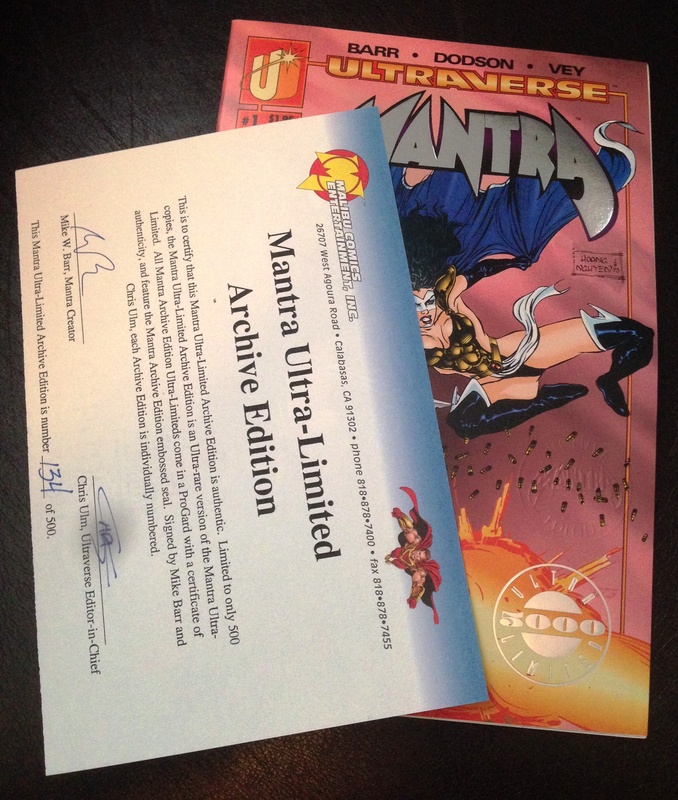 I have thought for years that the Mantra Ultra-Limited Archive Edition is one of the tougher Ultraverse books to find. You just rarely see one for sale, even though the COA says that there were 500 of them. And 500 of something is rare but not, uh, Ultra-rare. Anyway, I found a copy on eBay last week and punched a BIN for $13. That’s more than I like to spend, but like I said, you hardly ever see this book. It arrived safe and sound and I put a couple of pictures up on the Ultraverse Facebook group, which led to some background information being posted. 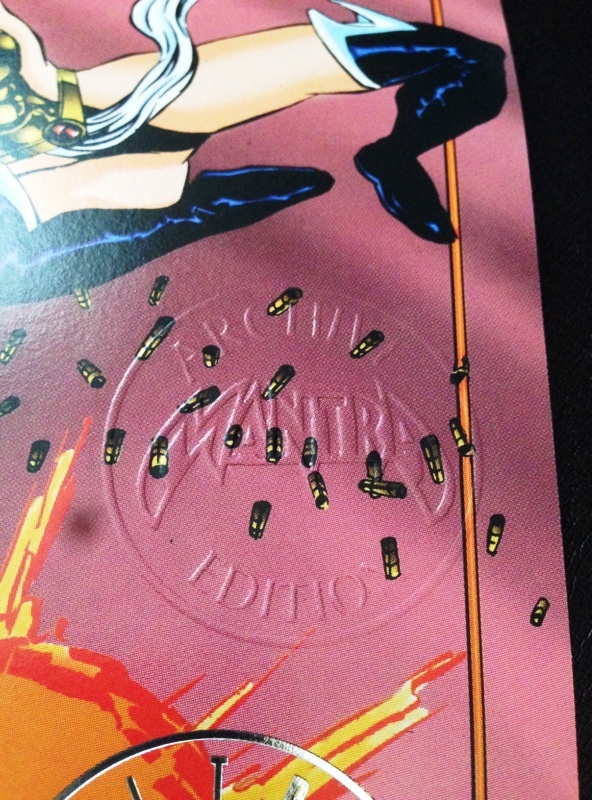 Head of marketing Tom Mason (who also was an Ultraverse co-founder and wrote Dinosaurs for Hire and co-wrote Prototype) gave him the okay, so Richie ordered the stamp, created the certificates and got Chris Ulm and Mike Barr to autograph them. When he wanted to send one out he would stamp the book and put a package together. But he says he did this less than 30 times. Then Marvel bought Malibu. Richie left Malibu shortly after, followed by Mason. The Ultra Archive project shut down when Richie left and the remaining certificates, as far as he knows, were tossed in recycling bins like so many other incentive books when the Malibu offices closed. So good luck finding one of these! There are definitely some hard-to-find books from the early days of the Ultraverse … this might be the toughest of all. Richie went on to become the CEO and Founder of BOOM! Studios, which is hitting a 10-year milestone for publishing comics in 2015. This is one of those things they used to stick in with the box of comics from the distributor every week. Most comic shops got this kind of solicitation catalog. Most went into the trash, I’m sure. I don’t even think this is particularly collectible but it did have some interesting info. 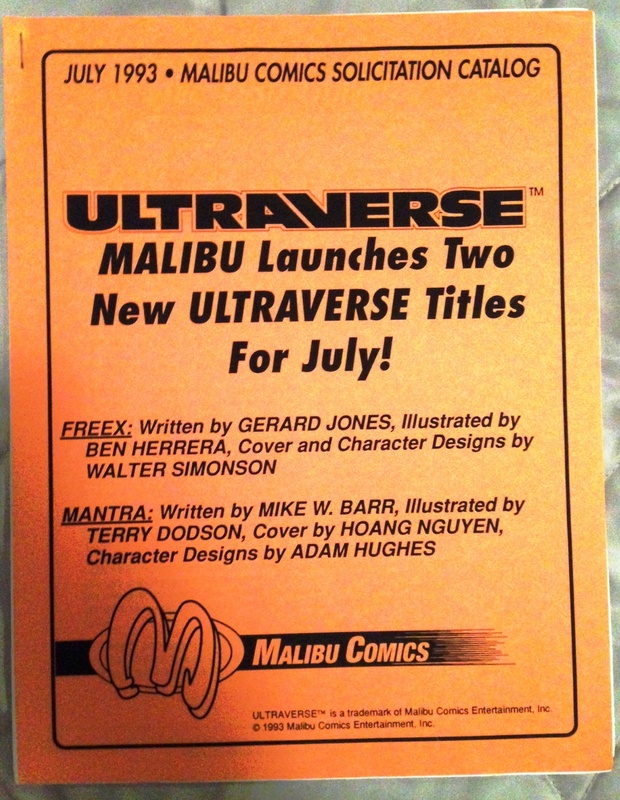 I know there were 5,000 of each of the holographic covers for the first seven Ultraverse titles. Back in the day these books were hard to find, and when you saw one it was extremely expensive. Seems like I remember some with $100 price tags, and this was back when you could get a pretty good stack of Silver Age Marvel comics for that kind of money. But I never understood the process. 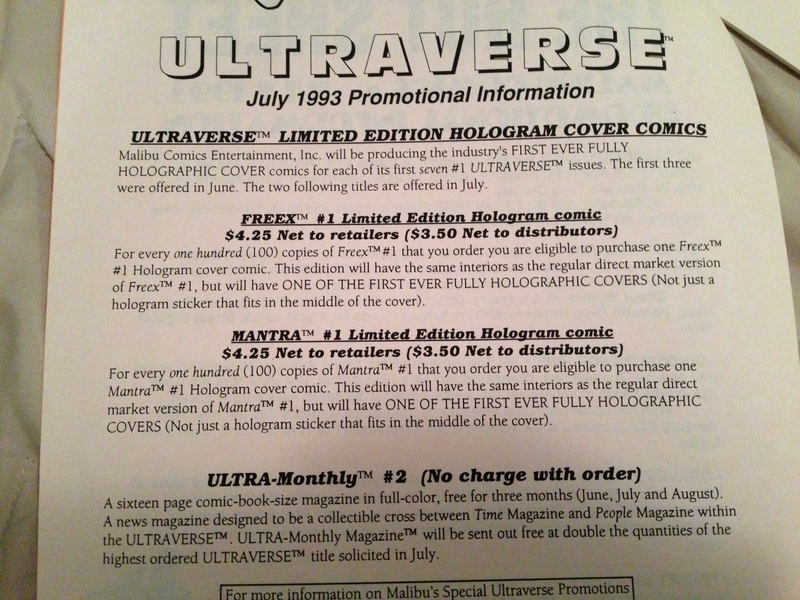 This catalog explains a bit of that: For every 100 copies of an Ultraverse launch title, retailers could buy a holographic cover comic for $4.25. You better have had a pretty healthy comic shop if you were planning on ordering 100 of anything, although this was just before the big comic crash of the 1990s.